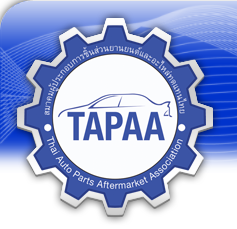 This Trade Association was established under the Trade Association Act in 1966 and under the supervision of the Registrar Office of Bangkok Trade Association. 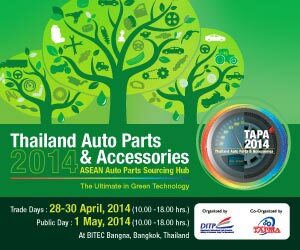 (1) Ordinary members are individuals or companies which are legally registered and do enterprises about automotive replacement parts. (2) Extraordinary members include individuals or companies which are legally registered and operate in commercial, financial or industrial enterprises regarding to the automotive replacement parts. (3) Honorary Members who greatly support the Association are qualifiedly considered and voted by the committee and the board of directors to become members, and they accepted the invitation. 1. they are already mature. 2. they do not go bankrupt, incompetent persons or quasi-incompetent persons. 3. they have never been finally judged into prison by the Extreme Court of Law, except a petty offense or offense penalty not higher than a petty offense or the offenses committed by negligence. 4. they are not infected diseases which make people dislike. 5. they are of a moderately strong financial status. 1. they do not go bankrupt. 2. they are of a moderately strong financial status. 6 (1) come into force the qualifications of the representatives who were appointed to act on behalf of corporate members regarding to Article 10 also. 7. Any person who wants to become an ordinary or extraordinary member must submit a request to the secretary general or the committee who act on behalf of the secretary general of the Association, and then fills in the application form which is at least signed by two ordinary members. 8. To consider an application form, the secretary general or the committee who act on behalf of the secretary general send the application form to the committee meeting, and when the committee voted to accept or reject the application form, the secretary general will inform the applicant by a written letter within 7 days after resolution. 9. Membership starts immediately after the applicant has already paid membership fee to the Association. 10. Corporate members must appoint their individual representative to act on behalf of them, but there is no more than two. To perform duties, the individual representative has an authority as much as the corporate members can do. However, the individual representative will not be able to assign or appoint another person to act on behalf of them. Moreover, the individual representative cannot act on behalf of two corporate members. (1) death or end of the corporate state. (2) lack of qualifications in Article 5. (3) the resignation approved by the board of directors. (5) the Court ordered a member to be incompetent or quasi-incompetent person. (6) being finally judged into prison by the Extreme Court of Law, except for a petty offense or offense penalty not higher than a petty offense or offenses committed by negligence. 1. Do anything with intention to make the Association be disreputable. 2. Violate the regulations by intention. 3. Do not pay annual membership fees, and have already received official letter until thirty days passed. (1) names and nationalities of its members. (2) the type of enterprises and the name used to do enterprise. (3) the location of members’ offices. (4) the dates of starting membership.